I love the look of these Hoosier cabinets. They could be ideal in a tiny house. 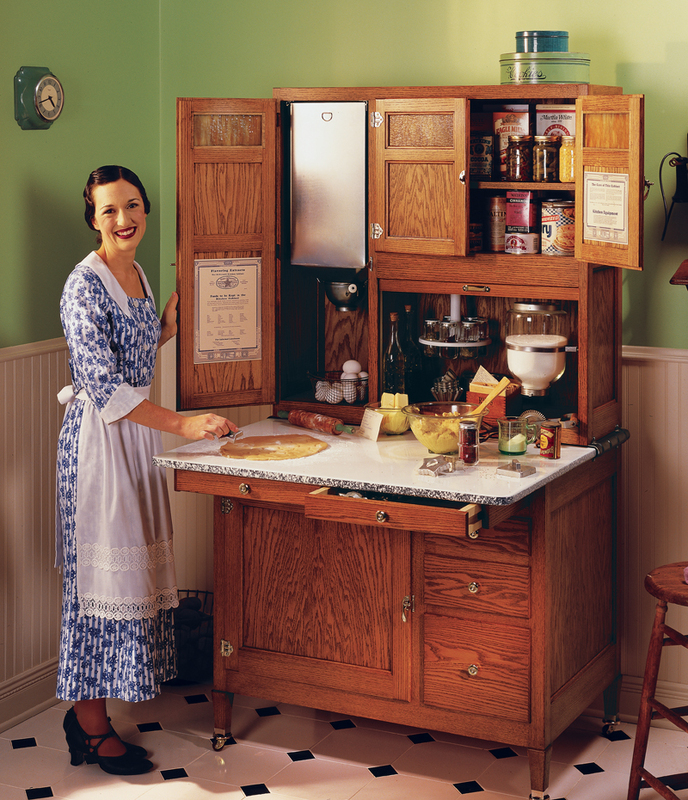 This entry was posted in Uncategorized and tagged Hoosier Cabinet, old fashioned cabinet by Julia. Bookmark the permalink. kitchen. We are getting ready to find something small now since it is just my husband and myself and we are raising our granddaughter that was a meth and fetal alcohol syndrome baby. But she is almost 7 now, and doing so much better. We are looking for simplicity, these are wonderful. I love them too Brenda! I think it’s Ball canning jars that has a whole line of jars now that I just love. Bless you for raising your granddaughter. I’m sure she brings you many happy moments. As a parent of two little ones I couldn’t agree more of the importance of simplifying life a little. I think children really flourish in calm surroundings. Love, love, love the Hoosier Cabinet!!!!! I got mine from my in-laws and it has been in their family for years. I sew and was looking for a way to inexpensively store my growing stash of fabric. We took our under-utillized Hoosier Cabinet downstairs to the sewing area and now it is the perfect place to store all my fabric. The top shelves are the perfect size for storing all my fat quarters! It’s my favorite piece in the room! Leeanne how fortunate are you to have been passed down a Hoosier! What a great idea to turn it into a sewing cabinet.